This adds up to a lot of time wasted in post-production and support on top of additional money for file-sharing tools like Dropbox or SmugMug. TourBuzz has an option to publish photos only, allowing you to use a single platform for delivery of all images whether the agent orders a tour or just photography. 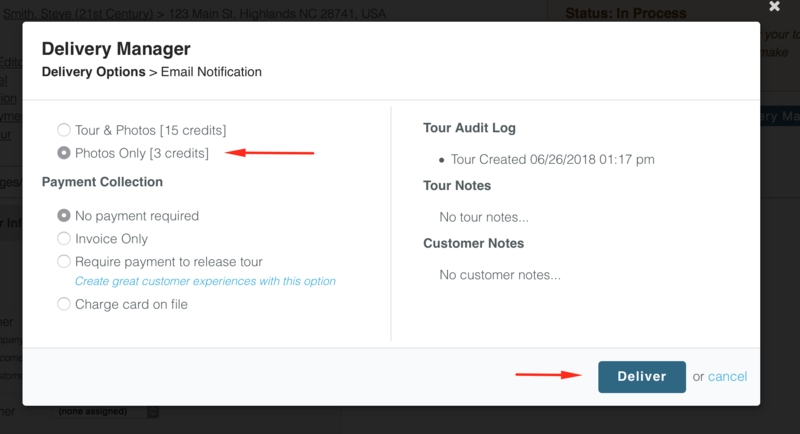 Photo-only tours work just like regular tours, except that the agent will only be able to access their media downloads, exported video, and flyer in their client panel. Of course, the main attraction is being able to have a single workflow for all of your photo and video delivery, and allowing your agents to use the same back-end for photo-only and full tours, including our great Download Center with print-quality image support, Export-to-Video/YouTube posting, and automated MLS syndication (where available). This feature also supports video files and panoramas.